All of us have had a sensory issue at one time or another. Maybe it’s your neighbor’s dog barking that bothers you or you can’t stand the texture of cottage cheese. Does it make you crazy to have a hat on your head? Do you avoid the mall at peak shopping times so you don’t have to be around crowds of people? These are common things that as adults we adapt to or avoid without giving them a second thought. 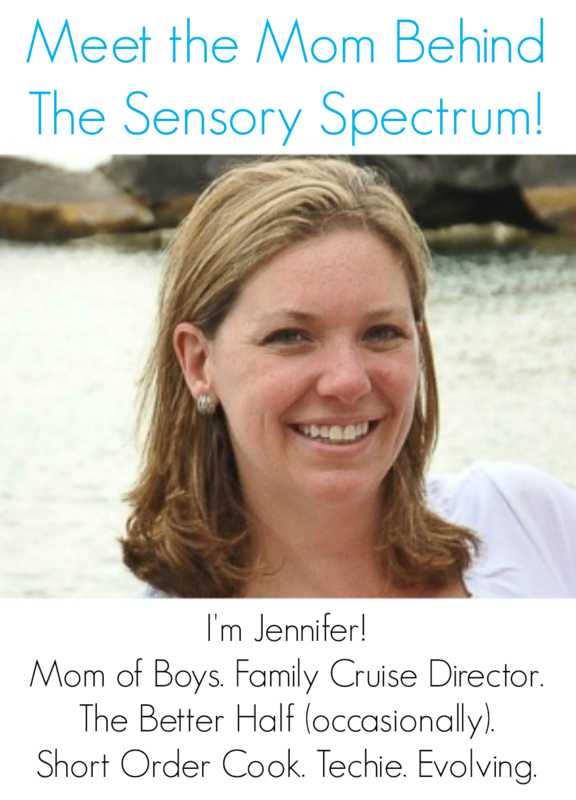 What about your children’s sensory sensitivities? What if you could make parenting easier and more fun by taking your child’s senses into consideration? Imagine the possibilities because you can! Sensory Parenting – The Elementary Years: School Years Are Easier when Your Child’s Senses Are Happy! A child’s sensory system affects their ability to learn, play, socialize and function. Maybe a child isn’t able to sit still in class because his shirt tag is bothering him. Or a child isn’t able to play with other children because his balance is off and other kids make him feel unstable and dizzy. Maybe your child isn’t just a picky eater – it could be that his sensory system needs some special guidance and adjusting. And with so much technology and choices of games out there, which ones are beneficial for your children to play? Britt Collins, M.S., OTR/L and Jackie Linder-Olson – an occupational therapist and parent team – have organized and combined parenting information along with sensory integration methods, tips and solutions. We’ve done our work, now it’s your turn! We’ve made it easy and fun and will help you avoid a lot of unnecessary battles between you and your child. It’s amazing how quickly our children adapt and the little adjustments that can make our days smoother. Who knew that our sensory systems affect every aspect of our lives? We all do now. Beginning with the age of five, Britt and Jackie walk parents through everyday situations and duties all the way through your child’s elementary years. They explain the underlying reasons beneath your child’s negative behaviors and the often simple fixes (sometimes not so easy, but steps that will lead you towards success). Parenting can be less stressful when you’re not struggling with your child’s sensory systems. A child won’t outgrow auditory processing issues or tactile defensiveness without addressing the child’s needs. Working together, you will find that parenting can be more enjoyable if you address or avoid certain sensory situations or prepare for them accordingly. Britt Collins MS, OTR practices at the STAR Center in Denver, Colorado with the legendary Lucy Jane Miller, PhD, OTR. Together the two OTs write a monthly column for Autism Aspergers Digest. Britt is also known for her instructional DVD series which includes: OT in the Home, OT in the School, OT for Children with Autism, Special Needs and Typical, and Yoga for Children with Special Needs. Since graduating from Colorado State University with a Masters Degree in Occupational Therapy, Britt has practiced in a variety of settings; including Sensory Integration clinics, schools, homes, rehabilitation, and skilled nursing facilities and before the STAR Center she spent two years at the Legacy Health System in Pediatric Rehabilitation and Inpatient Acute Pediatrics in Portland, Oregon. Her expertise includes sensory integration, OT, NICU and EI feeding for Medically fragile Children, Hippotherapy, aquatic therapy, and she is well versed with most disabilities. She lives and breathes pediatric occupational therapy. 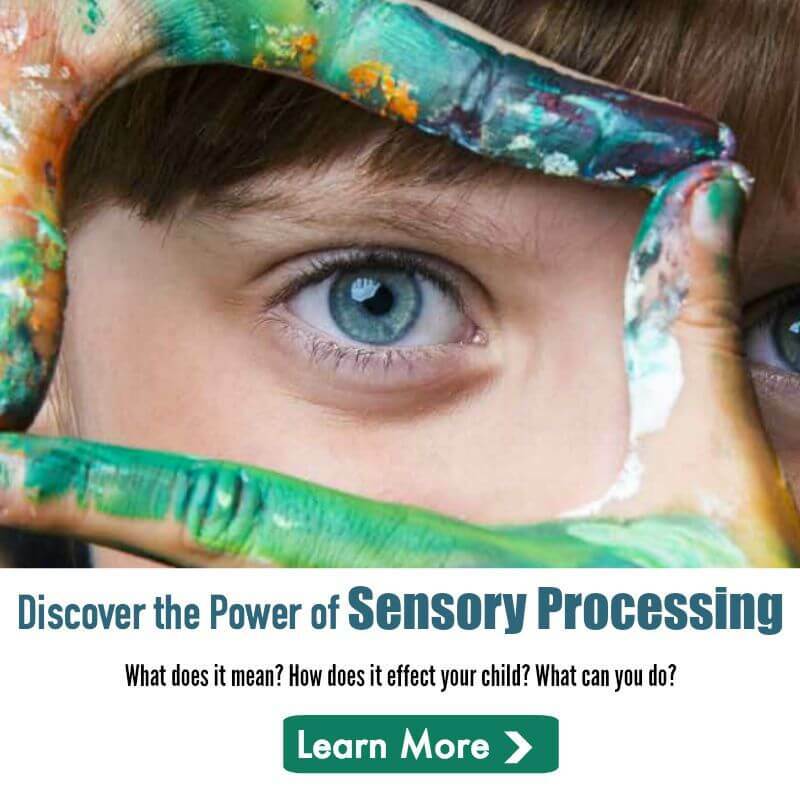 Jackie Linder Olson found out upon the birth of her child that “something was wrong” and has spent the last seven years learning about sensory processing disorders to help her son and other families. As a filmmaker, upon celebrating the tremendous results that her son has had with Occupational Therapist, Britt Collins, Jackie decided to combine her career and passion for OT and created a DVD series to help other parents understand their children’s sensory needs. The results have been overwhelming and rewarding. During the last two years, Jackie’s son has been mainstreamed into a standard public school system. In this time, Jackie has noticed that many of the typically developing children have sensory issues as well. Parents who watch their DVD series who have typical kids are applying the same information to their children and so the book about parenting was born.